← MoFo Midweek Giveaway: 4 Cookbooks!!! I’ve seen so many wonderful and creative dishes come of out the kitchens of Vegan MoFo participants. However, lots of you are also showing us how easy it is to stay vegan while traveling and eating out around town. The Hungry Vegan Traveler grabs some delicious looking Thai food at The Smiling Elephant in Nashville, TN. 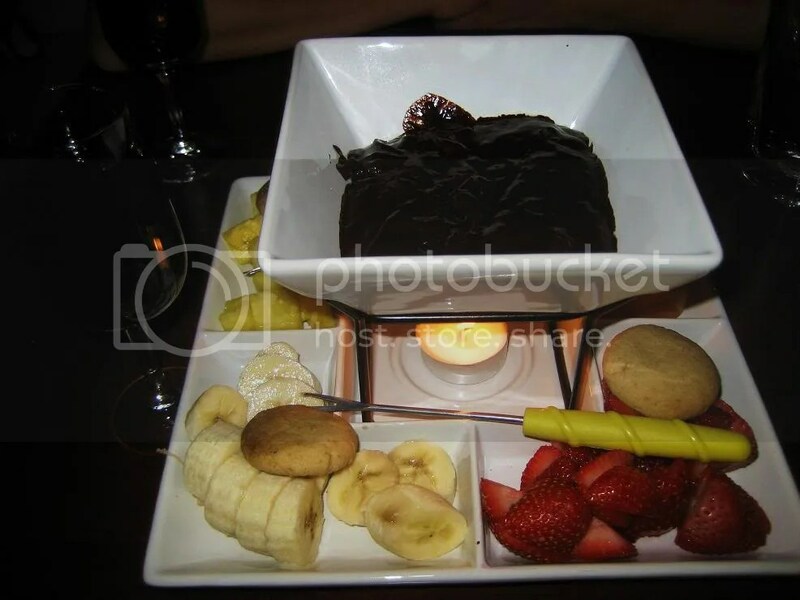 Over at Adventures in Veganism, they head to newly opened V-Note in NYC, and dine on some gourmet vegan food, including fair trade chocolate fondue that I’d love to dip into. Cara at Kids Playing with Skulls enjoys a corn dog with tater tots for the very first time at Hungry Tiger Too in Portland. At Végétalien à Paris they visit Bob’s Kitchen, a popular vegetarian lunch spot, and dine on mango-filled sushi, salads, sandwiches, and smoothies. Vegan Stephen orders a yummy Daiya covered pie from Escape from New York Pizza in San Francisco which he enjoys while watching the Walking Dead. Bianca at Vegan Crunk shows us that it is even possible to eat well while at sea. Tofu with Hearts of Palm–I’ve never seen that combo at any restaurant I’ve visited! Vegannifer shows us around some of her favorite places in Columbus, Ohio, and eats and amazing fig and rice pudding empanada, heads to the Rad Dog lunch cart for a chili dog, and then swings by Pattycake Bakery to wash it all down with some pastries. Jojo of Vegan In Brighton, shows us around Edinburgh, Scotland for several days, and includes a visit to Henderson’s Vegetarian restaurant. She and Nick have a beautiful meal, including these flapjacks with chocolate sauce. Finally, we have Melisser, The Urban Housewife, who is spending most of MoFo on the road, touring the East Coast of the U.S. and promoting her book, The Vegan Girl’s Guide to Life. Melisser visited several spots in DC, including Soul Vegetarian, one my favorite places to get an amazingly creamy mac n’ cheeze. Melisser is heading to Philly tomorrow, and then to other cities, so be sure to check and see if she’ll be in your town next. Vegan Mofo rocks! I just love reading everyone’s posts.. thanks for the links you’re posting! Awesome round-up! Philly was great and now I’m headed to NYC! Nice! There is some good looking food here!